Basil Bernstein (1924-2000), the British sociologist of education, describes two modalities of knowledge as “hierarchical” and “horizontal” knowledge structures. His descriptions are useful to help interpret the nature of historical knowledge in schools and may have practical relevance for teaching and learning in history. Hierarchical knowledge structures operate to create general propositions and theories. They do this by integrating knowledge at lower levels and becoming more and more abstract at higher levels, as, for, example, in the natural sciences. They are, thus, produced by an integrating code. Horizontal knowledge structures, on the other hand, consist of a series of different categories. They are based on a series, or collection, code. Horizontal knowledge structures are further distinguished by “strong grammars” or “weak grammars,” the strong being characterised by a more explicit and precise procedure, the weak by less precise relationships. History, in common with the social sciences and humanities generally, does not desire to create propositions and laws as its ultimate goal. It has a horizontal knowledge structure, with a strongly defined grammar or set of procedures. It is useful to use pictures such as those of the ladder and the train when introducing these notions to teacher education students. The ladder (hierarchical) has a broad base and gets narrower and narrower. It is integrated and moves from low to higher levels. The railway has a series of coaches that are coupled together to form a train, running on the same horizontal rail tracks. There may be few or many coaches. They can be added or dropped without serious implications for the rest of the train. Nor does it make much difference in what order they are placed. The train has coaches that are like each other, in that they are all built in the same manner, to a common plan, though it is possible that their purposes could differ. History is the train. The train of coaches relates broadly to the substantive aspect of history, the way the coaches are designed and the train is constructed relates to its procedural aspects, its grammar. Organising the content of history curricula chronologically, according to eras or reigns from a fixed starting point, immediately evokes a train, albeit one that has a strict order and does not allow for random addition, though one could more easily leave out, e.g., the shorter or less important periods from the history. The danger of this approach was the fixed nature of the past that it portrayed and that, in order to complete the curriculum, one had to proceed from start to finish. The horizontal knowledge structure of history, however, made it possible to replace these curricula by ones that were organised in themes, topics, or patches which were not ordered (without any question that one was still studying history). The problems that then arose involved how to establish a logic for the topics chosen, how to avoid duplication in subsequent years and how to decide at which year level a topic was best studied. Planning school history with both the substantive and the procedural simultaneously in mind can assist in providing an organisational logic. I use as an example of this a book written for secondary education on South Africa during the apartheid era. 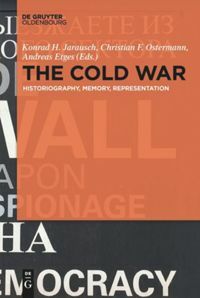 A template had been provided for the concepts and skills to be covered: it began by asking what sources and evidence were in history; how one worked with sources; the problems occurring in working with sources (reliability, fact and opinion, contradictory sources, the range of sources available); and theories and interpretations of history. Choosing the historical content with which to handle these topics hinged on several factors that required careful consideration. There needed to be a chronological narrative line, which could not be strict as so many of the topics overlapped in time; key events, places and actors had to be given a role; the textual and photographic sources needed to arouse interest and to make it possible to pose challenging questions; and the topics chosen had to fit the task at hand: “How do we make sense of oral sources?” required suitable oral source material; “What does reliability mean?” required suitable sources to illustrate issues of reliability; and so on. The choice of which coach to place where in this history is constrained by the logic of the procedural concepts. There is clearly no hierarchy in such content knowledge nor is there any sense in which it can be integrated to create higher levels of abstraction. But the possibility of verticality (a series of topics studied in increasing content complexity or depth) is worth exploring further: might there be pre-requisites for studying some curriculum topics that would benefit from particular prior knowledge before they are embarked upon by children? Or, are there valid reasons for reserving certain topics for younger or older age groups? And, can understanding be enhanced by establishing broader patterns, firmer chronology and greater conceptual depth through a carefully chosen vertical content series? These are issues to which curriculum committees typically pay little or no serious attention, which teachers and textbook writers lack the experience or confidence to engage in and which get left behind in the debates about the relative place of procedural and substantive knowledge in school history. Michael Fordham notes incisively that it is a major flaw of most existing progression models that they do not include the substantive dimension. I suggest that one needs to use the notions of horizontality and verticality dynamically in this way to justify the nature and purpose of historical content knowledge at school. Bernstein, Basil. Pedagogy, symbolic control and identity. London: Taylor and Francis, 1996, and Bernstein, Basil. “Vertical and Horizontal Discourse: an essay.” British Journal of Educational Sociology, vol. 20 no 2, 1999: 157–173. Bertram, Carol. “Exploring an historical gaze: A language of description for the practice of school history.” Journal of Curriculum Studies, 44:3, 2012: 429–442. Young, Michael. “From Constructivism to Realism in the Sociology of the Curriculum.” Review of Research in Education. Vol. 32, February 2008: 1–28. Muller, Johan. On splitting hairs: Hierarchy, knowledge and the school curriculum: https://www.cilt.uct.ac.za/splittinghairs07.pdf (last accessed 11 March 2019). Poultney, Richard. Knowledge Code Theory: https://www.slideshare.net/knowledge-code-theory (last accessed 11 March 2019). Fordham, Michael. ‘Types of knowledge in a history curriculum,’ and ‘What sorts of substantive knowledge are needed to get better at history?’: https://clioetcetera.com/types-of-knowledge-in-a-history-curriculum/ and https://clioetcetera.com/what-sorts-of-substantive-knowledge-are-needed-to-get-better-at-history/ (last accessed 11 March 2019). Basil Bernstein, “Vertical and Horizontal Discourse: an essay,” British Journal of Educational Sociology, vol. 20 no 2, 1999. See a discussion of this in Carol Bertram, “Exploring an historical gaze: A language of description for the practice of school history,” Journal of Curriculum Studies, 44:3: 430–433. Rob Siebörger, Gail Weldon and Chris Hinton, What is Evidence? South Africa During the Years of Apartheid. A skills-based approach to secondary history (Cape Town: Francolin Publishers, 1996). Unusually, the History Working Group for the first National Curriculum in England provided insightful commentary on their curriculum design task. They had, however, very little to say about these issues of content. Department of Education and Science, National Curriculum History Working Group Final Report (London: HMSO, 1990), 7–19. Michael Fordham, “Types of knowledge in a history curriculum,” see https://clioetcetera.com/2017/03/20/types-of-knowledge-in-a-history-curriculum/ (last accessed 11 March 2019). School subjects are recontextualised from academic disciplines into their school curricula. See Michael Young, “Overcoming the crisis in curriculum theory: a knowledge-based approach,” Journal of Curriculum Studies, 45:2 2013: 109. The ladder only reaches the lamps © 2014 Sigfrid Lundberg, CC BY-SA 2.0 via flickr. Siebörger, Rob: Knowledge Structures and School History. In: Public History Weekly 7 (2019) 13, DOI: dx.doi.org/10.1515/phw-2019-13687. Der britische Bildungssoziologe Basil Bernstein (1924-2000) beschreibt die zwei gängigen Wissensmodalitäten als “hierarchische” und “horizontale” Wissensstrukturen. 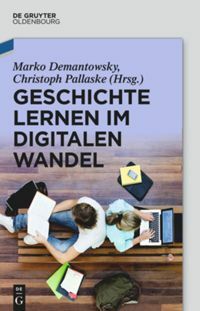 Seine Beschreibungen sind nützlich, um historisches Wissen an Schulen zu interpretieren und können praktische Relevanz für Lernen und Lehren von Geschichte haben. Ziel hierarchischer Wissensstrukturen ist es, allgemeine Sätze und Theorien zu etablieren. Sie tun dies, indem sie Wissen auf niedrigeren Stufen integrieren und auf höheren Stufen immer abstrakter werden, wie zum Beispiel in den Naturwissenschaften. Solche Wissensstrukturen werden also durch einen integrierenden Code erzeugt. Horizontale Wissensstrukturen hingegen bestehen aus einer Reihe von verschiedenen Kategorien: Sie basieren auf einem Serien- oder Sammelcode. Horizontale Wissensstrukturen unterscheiden sich weiter durch “starke” oder “schwache Grammatiken”, wobei die starken durch ein expliziteres und präziseres Verfahren bestimmt sind, die schwachen durch weniger präzise Beziehungen. Die Geschichte, wie auch die Sozial- und Geisteswissenschaften im Allgemeinen, ist nicht bestrebt, finale Aussagen und Gesetze zu postulieren. Sie besitzt eine horizontale Wissensstruktur, die durch eine stark definierte Grammatik oder verschiedene Verfahren gekennzeichnet ist. Es macht durchaus Sinn, das Bild einer Leiter oder einer Zugkomposition zu verwenden, wenn man diese Begriffe und Konzepte angehenden Lehrpersonen vorstellt. Die Leiter (hierarchisch) hat eine breite Basis und wird immer schmaler. Sie ist integriert und wechselt von niedrigen zu höheren Stufen. Das Bild der Eisenbahn (horizontal) zeigt eine Reihe von Wagons, die zu einem Zug zusammengekoppelt sind, der auf horizontalen Gleisen fährt. Die Zusammenstellung kann aus wenigen oder vielen Wagons bestehen. Diese können ohne schwerwiegende Auswirkungen auf den Rest des Zuges hinzugefügt oder entfernt werden, wobei die Reihenfolge keinen großen Unterschied macht. Dieser Zug besteht aus ähnlichen Wagons, die alle auf die gleiche Art und Weise nach demselben Plan gebaut sind, obschon sich ihr Verwendungszweck unterscheiden kann. Geschichte ist eine Zugkomposition: Eine Reihe von gekoppelten Wagons bezieht sich weitgehend auf den inhaltlichen Aspekt der Geschichte, die Bauweise der einzelnen Wagons und des Zuges bezieht sich auf dessen verfahrenstechnischen Aspekte, dessen Grammatik. Die chronologische Organisation von Geschichtslehrplänen nach Epochen oder Herrschaften, ausgehend von einem klar definierten Anfang, evoziert sofort das Bild eines Zuges, wenn auch eines streng geordneten, der keine zufällige Aneinandersreihung zulässt, obwohl beispielsweise die kürzeren oder weniger wichtigen Perioden der Geschichte recht einfach ausgelassen werden könnten. Die Gefahr dieses Ansatzes bestand in der Festlegung der Vergangenheit, und dass der Lehrplan von Anfang bis Ende durchlaufen werden musste. Die horizontale Wissensstruktur der Geschichte ermöglichte es jedoch, diese Lehrpläne durch solche zu ersetzen, die in nicht geordnete Themenbereiche unterteilt waren (ohne das je Zweifel aufkamen, dass man sich immer noch mit Geschichte beschäftigte). Die Probleme, die sich dann ergaben, betrafen die Festlegung einer Logik für die gewählten Themen, die Vermeidung von thematischen Wiederholungen in den folgenden Schuljahren und die Entscheidung, auf welcher Jahresstufe ein Thema am besten unterricht werden sollte. Geschichtsunterricht mit gleichzeitigem Blick auf den Inhalt und die Vorgehensweise zu planen kann helfen, eine organisatorische Logik zu schaffen. Als Beispiel dafür nutze ich einen Text aus einem Sekundarschulbuch über Südafrika zur Apartheid-Zeit. Eine Vorlage, die Konzepte und Fähigkeiten behandelt bzw. entwickelt werden sollten, wurde zur Verfügung gestellt: Zuerst wurde erklärt, was Quellen und Beweise in der Geschichte sind und wie man mit Quellen arbeitet. Darüber hinaus wurden die Probleme, die bei der Arbeit mit Quellen entstehen (Zuverlässigkeit, Tatsache und Meinung, widersprüchliche Quellen, die Bandbreite der verfügbaren Quellen) sowie Theorien und Interpretationen der Geschichte, erläutert. Die Wahl des historischen Inhalts, mit dem diese Themen behandelt werden sollten, war von mehreren Faktoren abhängig, die eine sorgfältige Prüfung erforderten. Es musste eine chronologische Erzähllinie geschaffen werden, die allerdings nicht allzu streng sein durfte, da sich viele Themen zeitlich überschnitten; Schlüsselereignisse, Orte und Akteure mussten entsprechende Rollen zugewiesen werden; die textlichen und fotografischen Quellen mussten das Interesse wecken und es ermöglichen, herausfordernde Fragen zu stellen. Die gewählten Themen mussten der jeweiligen Aufgabe entsprechen: “Wie gehen wir mit mündlichen Quellen um?” Diese Frage erforderte geeignetes (mündliches) Quellenmaterial: “Was bedeutet Zuverlässigkeit?” Sie verlangte geeignete Quellen, um Fragen der Zuverlässigkeit zu veranschaulichen, und so weiter. Die Entscheidung welchen “Waggon” an welchen Ort in dieser Geschichte zu stellen, wird durch die Logik der Verfahrenskonzepte eingeschränkt. Es besteht weder eine Hierarchie bei solchem Inhaltswissen noch eine Logik, in die es integriert werden kann, um höhere Abstraktionsebenen zu schaffen. Dennoch lohnt es sich, die Möglichkeit der Vertikalität (eine Reihe von Themen, die in zunehmender inhaltlicher Komplexität oder Tiefe betrachtet werden) weiter in Betracht zu ziehen: Gibt es bestimmte Voraussetzungen für die Auseinandersetzung mit Lehrplaninhalten, die von besonderem Vorwissen profitieren würden, bevor sie von den Schüler*innen in Angriff genommen werden? Oder gibt es triftige Gründe, bestimmte Themen für jüngere oder ältere Altersgruppen zu reservieren? Und kann das Verständnis verbessert werden, indem breitere Muster, eine festere Chronologie und eine größere konzeptionelle Tiefe durch eine sorgfältig ausgewählte vertikale Inhaltsreihe etabliert werden? Vor diesem Hintergrund schlage ich vor, dass die Begriffe der Horizontalität und Vertikalität dynamisch genutzt werden sollten, um Art und Zweck des historischen Inhaltswissens im Geschichtsunterricht zu rechtfertigen. Bernstein, Basil. Pedagogy, symbolic control and identity. London: Taylor and Francis, 1996, und Bernstein, Basil. “Vertical and Horizontal Discourse: an essay.” British Journal of Educational Sociology, vol. 20 no 2, 1999: 157–173. Muller, Johan. On splitting hairs: Hierarchy, knowledge and the school curriculum: https://www.cilt.uct.ac.za/splittinghairs07.pdf (letzer Zugriff 11. März 2019). Poultney, Richard. Knowledge Code Theory: https://www.slideshare.net/knowledge-code-theory (letzer Zugriff 11. März 2019). Fordham, Michael. ‘Types of knowledge in a history curriculum,’ and ‘What sorts of substantive knowledge are needed to get better at history?’: https://clioetcetera.com/types-of-knowledge-in-a-history-curriculum/ and https://clioetcetera.com/what-sorts-of-substantive-knowledge-are-needed-to-get-better-at-history/ (letzer Zugriff 11. März 2019). Siehe hierzu Carol Bertram, “Exploring an historical gaze: A language of description for the practice of school history,” Journal of Curriculum Studies, 44:3: 430–433. 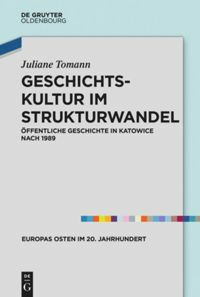 Ungewöhnlicherweise lieferte die History Working Group, die mit der Erarbeitung des ersten National Curriculum in England betraut war, einen aufschlussreichen Kommentar zu ihrer Lehrplangestaltung. Zu diesen inhaltlichen Fragen hatten sie jedoch nur sehr wenig zu sagen. Department of Education and Science, National Curriculum History Working Group Final Report (London: HMSO, 1990), 7–19. Michael Fordham, “Types of knowledge in a history curriculum,” see https://clioetcetera.com/2017/03/20/types-of-knowledge-in-a-history-curriculum/ (letzer Zugriff 11. März 2019). Schulfächer werden ausgehend von den akademischen Disziplinen in den jeweiligen Lehrpläne rekontextualisiert. Siehe Michael Young, “Overcoming the crisis in curriculum theory: a knowledge-based approach,” Journal of Curriculum Studies, 45:2 2013: 109. Siebörger, Rob: Wissensstrukturen und Geschichtsunterricht. In: Public History Weekly 7 (2019) 13, DOI: dx.doi.org/10.1515/phw-2019-13687.